Among their favorite art materials are these assortment of coloring pens and crayons we collected over the years, all from the brand that we grew up with - Crayola. Here are just a couple of artwork the girl and the boy created in the past. 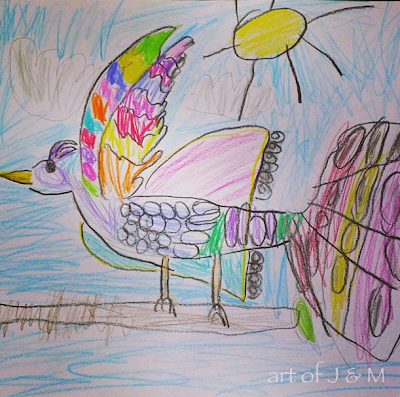 The girl likes to color her work (above), while the boy sticks with pencil drawings, but does it with great attention to details. 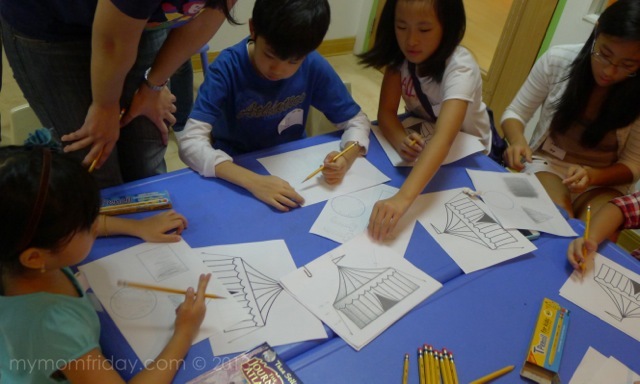 All the kids, and even the parents, were excited to use the rainbow of colors and art materials prepared for everyone. 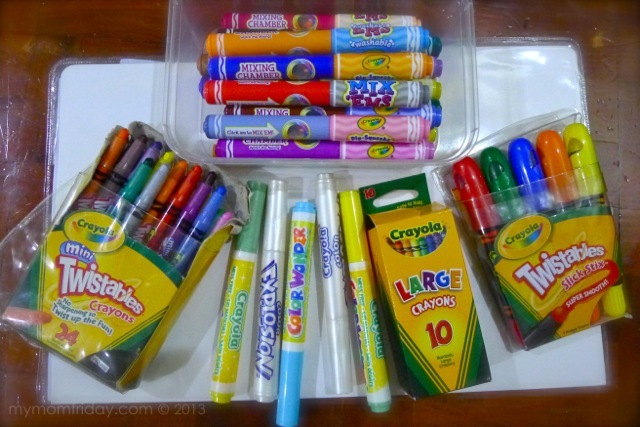 There were Twistable crayons, colored pencils, markers, Pip Squeaks, and more. 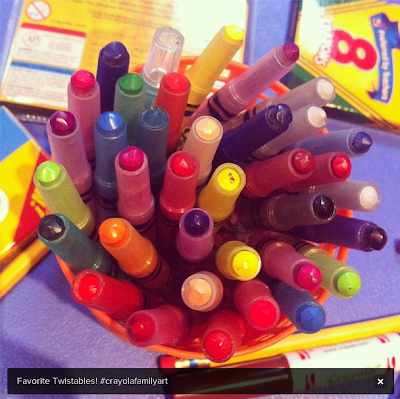 These Crayola markers are washable too no worries about staining their hands and clothes. Since the boy and the girl use these materials everyday, whether in school or at home, it gives me peace of mind knowing they're all non-toxic. Both T-Pencil and Crayola are registered with the Food and Drug Administration. For T-Pencil, all raw materials – from its cedar wood, lacquer, rubber, ferrules or metal parts – are tested to ensure the absence of toxic elements. We've used (and thrown out) all sorts of pencils, many from party loot and gifts that came in cute characters and designs. But some are hard to sharpen, and the core easily breaks even while sharpening! Don't you hate it when a piece of the "lead" gets stuck in the sharpener? And we all know the health hazards of lead! 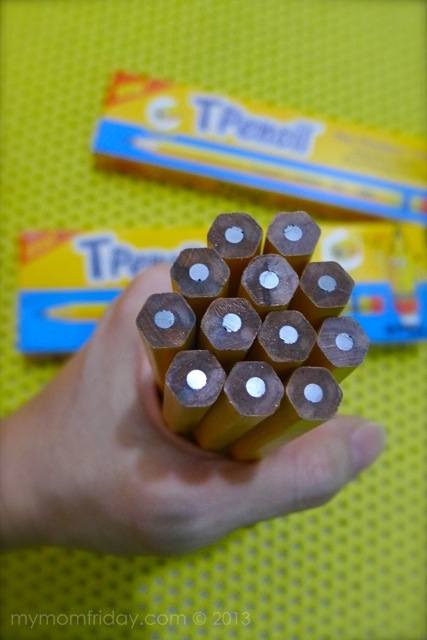 So, how to spot quality vs. substandard pencils? 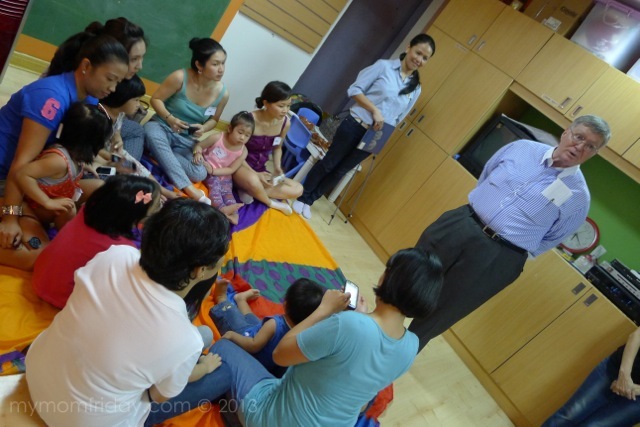 That's Mr. Wood of Amspec, assuring us parents that they will continue to innovate and manufacture products for children that meet the highest quality standards, and most importantly, safe and toxin-free. 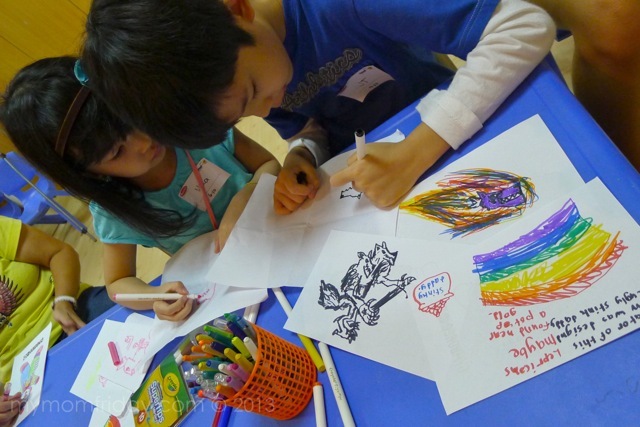 The energy and excitement was evident during the family art day and creativity flowed freely among the participants, kids and adults alike. My twosome were in their element that afternoon. 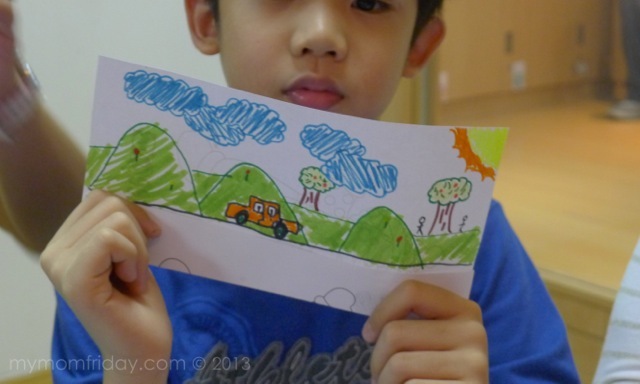 They did some arts and crafts projects, and learned new drawing techniques from the Gymboree teachers who facilitated all the activities for toddlers and big kids. 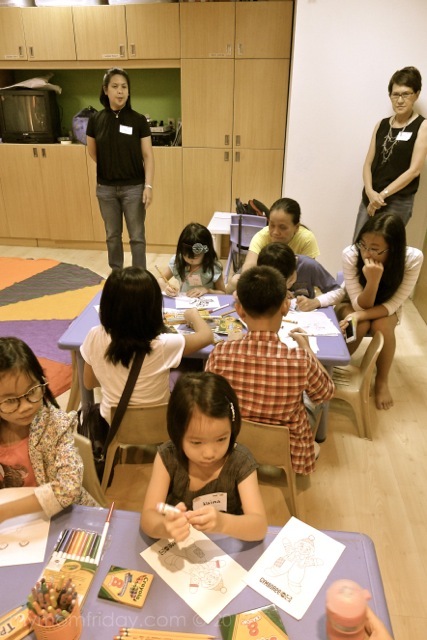 It was fun to see children of all ages doing art projects and bonding with their parents, and seeing their happy faces with their finished works of art. 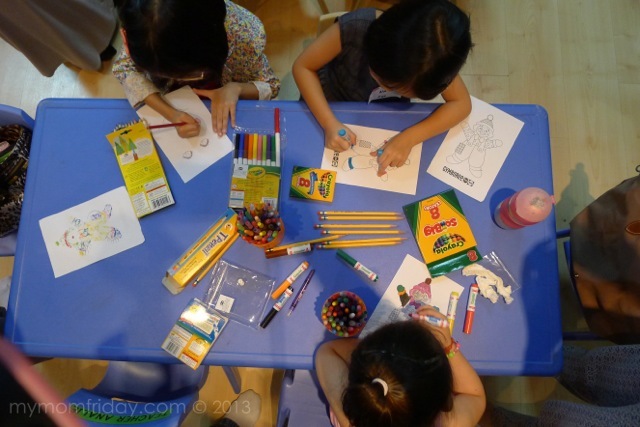 Everyday is art day in our home, but I'm glad my kids were able to share and showcase their love for drawing with new friends, thanks to Gymboree and Amspec. 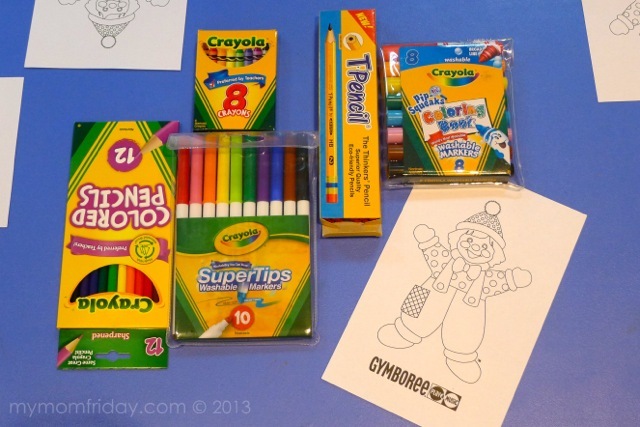 Crayola and T-Pencils are mom-approved! Note: SoMoms group shot courtesy of Amspec.